India’s prime minister will meet with Russia’s president in India this week. They are expected to sign a raft of agreements, including arms deals that may run afoul of the US. The US, which wants stronger ties with India, has warned against the deals and may resort to sanctions. India Prime Minister Narendra Modi will sit down with Russian President Vladimir Putin in New Delhi this week to sign billions of dollars worth of arms deals. India has longstanding defence ties with Russia, but the latest round of agreements comes as the US, which has sought closer ties with Delhi, tries to isolate Moscow with sanctions on its defence industry. The summit on Thursday and Friday will include talks between the leaders and with ministers and business people, and it will conclude with the signing of 23 bilateral documents, Kremlin aide Yuri Ushakov said this week. 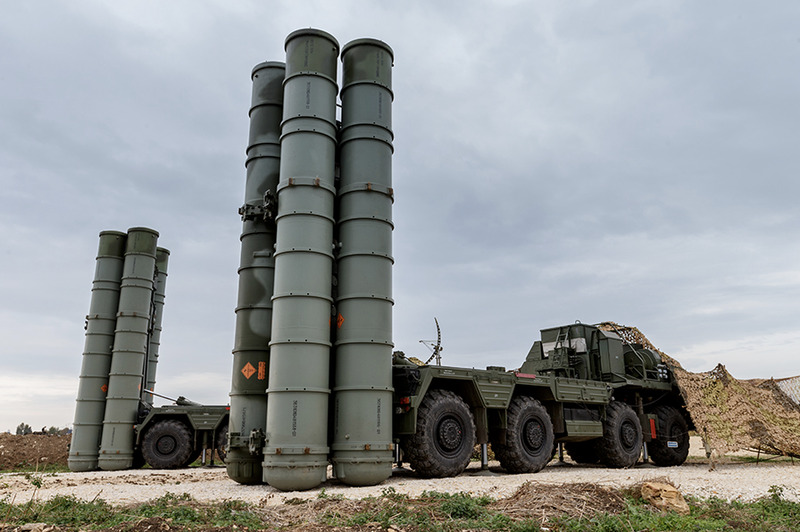 The S-400 deal, which India has been negotiating for years and reportedly cleared the last hurdle at the end of September, has become a point of contention with the US. India sees it as a way to bolster its defences, deterring China, with which it has a longstanding border dispute, and gaining an edge over Pakistan, a traditional rival. India has fought wars with both countries. The S-400 can track multiple targets and fire missiles with ranges up to 250 miles. It is said to be able to detect stealth aircraft. Indian Defence Minister Nirmala Sitharaman said in late September that “it is at a stage where it can be finalised.” The head of India’s air force said this week that once the deal is approved, the system would arrive in 24 months. Under the Countering America’s Adversaries through Sanctions Act, however, the Trump administration is required to sanction countries doing business with Russia’s defence and intelligence sectors. The US has already sanctioned China for buying Russian fighter jets and the S-400. “The administration has indicated that a focus area for the implementation of CAATSA Section 231 is new or qualitative upgrades in capability – including the S-400,” a US State Department official told Reuters. There is a waiver, but it can only be granted under certain conditions. India has indicated that it will ask for that exemption, but the US has said it’s not guaranteed. Russian Ministry of DefenceRussia’s S-400 air-defence system. Some analysts see the Trump administration as leaning toward a waiver for the sake of national-security interests, but the possibility Congress could tighten sanctions on Russia in the future means that exemption could be reviewed later. The S-400 is not the only deal to be completed. India is expected to announce a $US2.2 billion deal for four Russian frigates, two of which will be delivered and two of which will be built in an Indian shipyard. The two sides are also expected to sign a deal to licence the production of Russian AK-103 assault rifles in India. The slate of agreements, worth some $US8 billion in total, “is indeed a bit larger than the average arms deal, but I don’t find the value or scale extraordinary,” said Jeff Smith, a research fellow for South Asia at the Heritage Foundation. Mark Wilson/Getty ImagesModi with President Donald Trump. The Putin-Modi summit comes a few weeks after India’s defence and foreign ministers met their US counterparts for a meeting that produced a communications agreement increasing interoperability between their militaries. The US has sought deeper ties with India for some time, selling Delhi $US15 billion in weapons over the past decade. US defence contractors have entered the running to replace India’s ageing Russian-made fighter jets. The US also recently renamed US Pacific Command as US Indo-Pacific Command to highlight its view of India in the region. 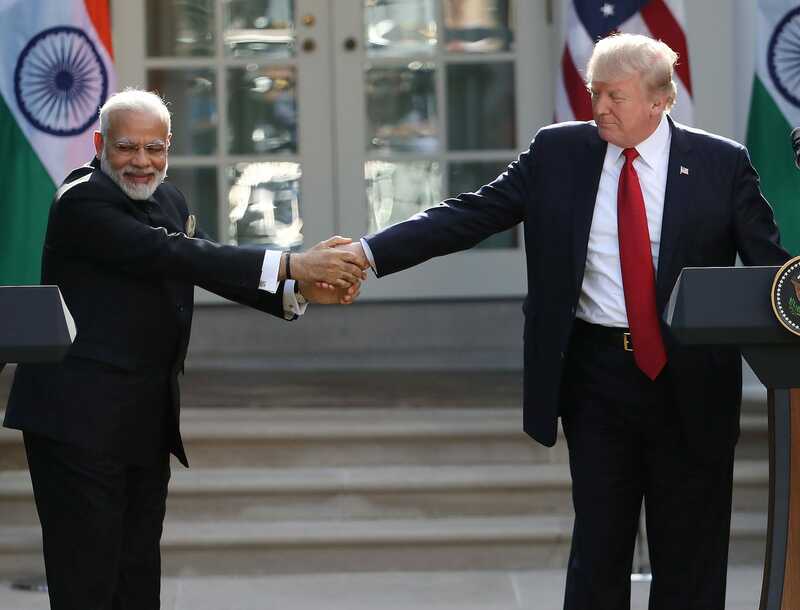 India has been receptive to US overtures, but its existing defence relationships and longstanding policy of non-alignment continue to influence its foreign affairs. The communications agreement signed in September took years to negotiate, delayed by political resistance in India and wariness about opening Indian communications to the US. CAATSA has also not had a deterrent effect. Sitharaman, the defence minister, has said sanctions would not affect Delhi’s defence ties with Moscow. “India has maintained its sovereignty as regards to its relationship with countries. We shall maintain it in all earnestness,” she said in September. 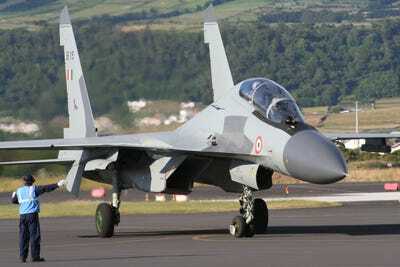 US Air Force/Wikimedia CommonsAn Indian air force member marshals an Indian Sukhoi Su-30 MKI at Lajes airfield in the Azores, July 13, 2008. Delhi has sought workarounds to CAATSA, including purchases in rupees and rubles rather than dollars, and it now wants an agreement to build and upgrade Russian weapons systems – including Sukhoi fighter jets and T-90 tanks – in India. While Smith said he expected India’s and Russia’s respective geopolitical orientations to gradually “continue to drift in separate directions,” a major shift in their defence relationship in the near future was unlikely. “Russian arms exports serve both countries’ interests,” Smith said.